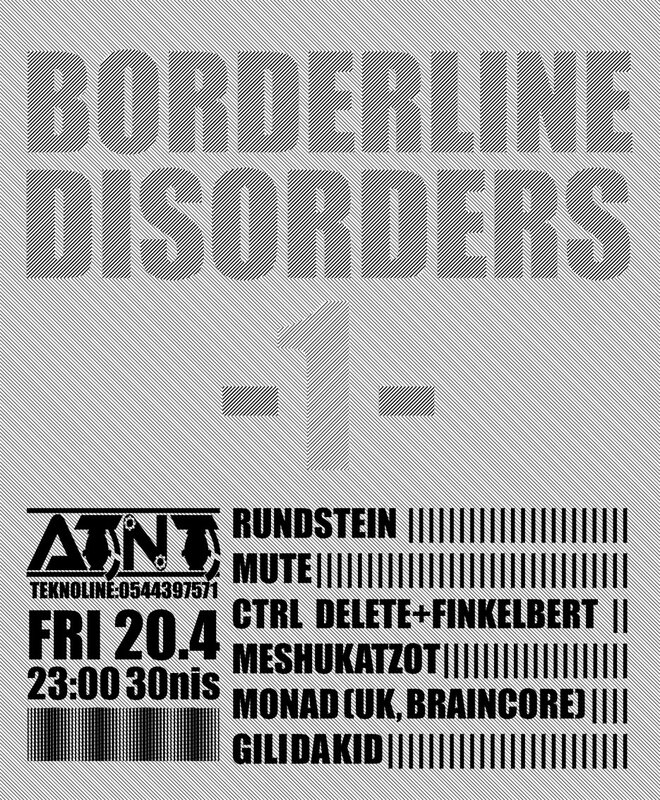 Borderline Disorders 1 is the first of three forthcoming events from the ATNT sound-system, before the whole crew crosses the Isra-hellian borders for a European summer tour. In this first round, Finkelstein joins Tom Sveta’s Cntrl Delete project, in a totally live tekno set. Follow ATNT: fReeTEknO website; Teknoline: 054-439-7571.